It is rightly said, “Every dark cloud has a silver lining.” An Indian-origin war veteran came to the rescue of many when an American citizen was on a killing spree at Pulse LGBT nightclub in Orlando, Florida. Donald Trump, who has become extremely critical of the Muslims in America after the Orlando nightclub shooting by an American Muslim on June 12, should know that the rescuer is a Muslim too, with his roots deep in India. Imran Yousuf, a former US marine war veteran and a bouncer at Pulse nightclub, saved over 70 lives whereas Omar Mateen gunned down 50 people and injured more than 53. Imran Yousuf, the American hero of the hour, has stolen the show from Donald Trump whose has upped his voice with lots of vigor in demand of ban on Muslim entry to the United States. 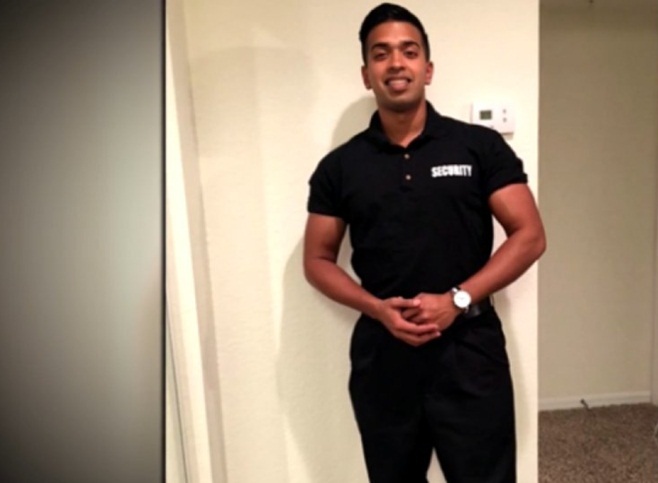 24-year-old Imran Yousuf, a New York resident, joined Orlando’s gay nightclub Pulse as a bouncer after one month of his return in April from the military service at war-fronts in Afghanistan. The death toll would have been more alarming if Yousuf were not there to instantly recognize the shots from Omar Mateen’s high-caliber weapon. Yousuf whose family had immigrated to Guyana from India four generations ago knew that the club had a back door for safety in emergency cases. He shouted ‘open the door’ to some partygoers who were standing near the back door but they were so frozen in fear of the gunfire that nobody moved. He took a leap to unlatch the door without a delay and pushed as many as 70 people out. “I wish I could have saved more,” he said ruefully. Imran Yousuf, who worked as an electrical equipment technician in the US Marine Corps for six years, joined the US military at a very young age. He proudly treasures a few military awards including the Navy and Marine Corps Achievement Medal, the Sea Service Deployment Ribbon, the Korean Defense Service Medal and the Afghanistan Campaign Medal. He belongs to both ethnicities, Hindu and Muslim, since his grandfather is a Muslim and his grandmother and mother are Hindus. He is a graduate from Niskayuna High School in New York. The US team of investigators might be in two minds whether Orlando nightclub shooting’s gunman Omar Mateen was a political extremist or repressed homosexual, but there is no doubt that Indian-origin Imran Yousuf is a real life hero.